Corsair, one of the world’s leading hardware and peripheral maker has announced their new Corsair Force LS Series SSD which are powered by the Phison SATA 6Gb/s Controller. While rest of the Corsair lineup which include Force 3, Force GT and Force GS series are based on the LSI Sandforce SF-2200 controller, the Force LS Series sticks with Phison’s controller. 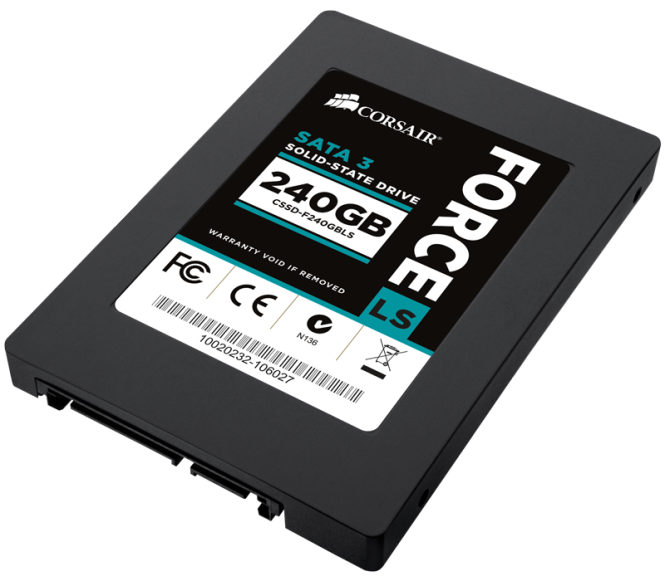 The Corsair Force LS Series SSDs are available in three capacities – 60 GB, 120 GB, 240 GB. Each SSD has a thick-ness of 7mm and are available in Desktop and Laptop upgrade kits. The Phison Controller is rated at 6 GB/s and doesn’t lags behind the LSI based controller much. The Force LS series solid state drives use the 19nm Toshiba NAND Flash although it is yet to be confirmed. The drive churns out read speeds of 555 MB/s and write speeds of 535 MB/s. Corsair’s Force LS Series SSDs supports TRIM, garbage collection, SMART functions and also comes with built-in advanced dynamic and static wear-leveling algorithms. 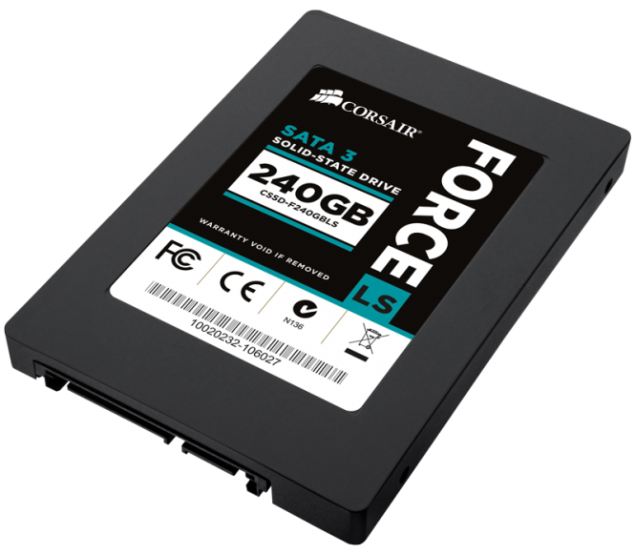 The Corsair Force LS Series 60 GB SSD would retail for $69.99, 120 GB for $109.99 and finally the 240 GB SSD for $199.99 US.